Another successful day of Media training at MCC Computers Ballymena Media Centre took place recently. 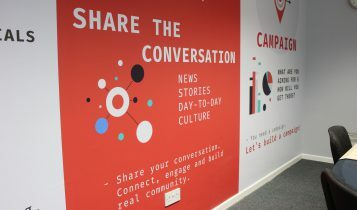 The Northern Ireland based Media Centre offers one day Media Essentials training courses to businesses, organisations and churches across the province who want to improve their understanding of effective media campaigns. The course has been described as ‘taking media training to a new level’, ‘second to none’, ‘exciting’ and ‘very informative’. Dr Philip PhD – course designer and facilitator, MCC Computers. Media Essentials has been designed and is presented by Philip of MCC Computers in their Media Centre based in Galgorm, Ballymena. LA Perfect offer semi-permanent make-up treatments. This relatively new business, set up by Luisa Anderson, is located on Greenvale Street, Ballymena. The Media Essentials – the tools that are needed to create a successful campaign. Working with the Essentials – in other words, creating valuable content through words, photos, videos, etc. Share the Conversation – looking at how that content is shared to as many as possible. Build a Campaign considers how to create a well-planned and structured media campaign that works. 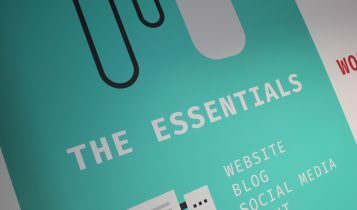 Could your business or organisation benefit from attending Media Essentials Training at MCC Computers Ballymena? If you are a business owner or manager, organisation or church leader and you know you could and should improve how you ‘do’ media, why not get in touch with Philip at Ballymena Media Centre on 028 2563 8888. You can find out more on the website here. Media Essentials is an excellent course for businesses throughout Northern Ireland held at MCC Computers Ballymena Media Centre.